Jump to video Afghan surge successful? A U.S. helicopter fires protective flares over a building taken by Taliban militants in Pul-i-Alam, Afghanistan, on Monday. 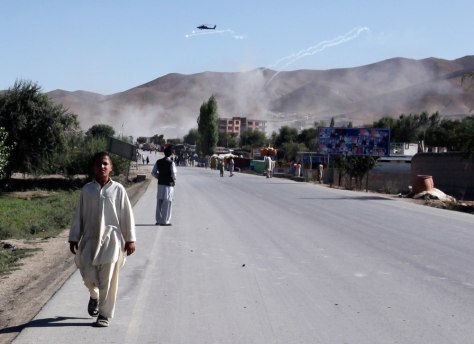 Three attackers and two police reportedly died in the battle.